When something is wrong with your ears, nose or throat, you need an otolaryngologist like Boris Bentsianov, MD. 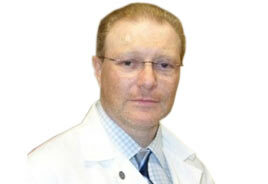 Certified by the American Board of Otolaryngology and in practice since 1998, Dr. Bentsianov brings a high level of experience and skill to every one of his patients in Brooklyn. To treat these conditions (and more), Dr. Bentsianov offers a variety of procedures, including several surgical techniques. Your specific treatment depends on your medical problem. If you need reconstructive surgery — because of trauma, infections, tumors or developmental abnormalities — you’re in luck, as Dr. Bentsianov is an expert in plastic surgery techniques. Dr. Bentsianov received many honors and awards during his academic career. He got his Bachelor of Arts degree from the City University of New York. He earned his Doctor of Medicine (MD) degree from the State University of New York (SUNY) Science Center. He completed his internship at SUNY’s Department of Surgery and his residency at SUNY’s Department of Otolaryngology. Additionally, he passed his fellowship in neurolaryngology at the Center for Voice and Swallowing Disorders. He speaks English and Russian fluently. To address problems with your ears, nose or throat, make an appointment with Dr. Bentsianov.